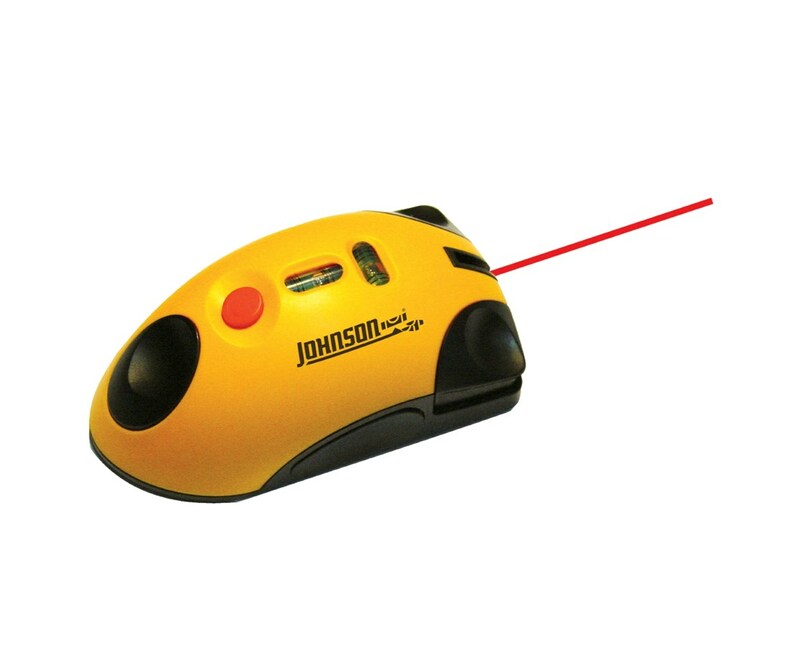 The Johnson Level Line Laser Mouse is a tool that shoots a straight laser line against the surface that the unit is sitting on to make the line plumb or level. It can be used for flooring and tiling projects. 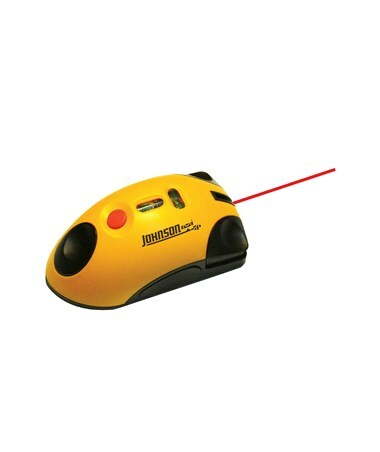 It has integrated horizontal and vertical leveling vials and is capable of projecting a line up to 30 feet. It features a super stick adhesive system that adheres to any surface for hands-free use, reusable and leaves no marks or holes. It comes with a 3-year warranty.